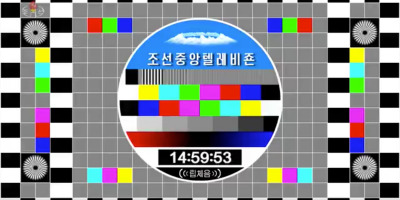 Foto: Korean Central Television via BBC Monitoring/Twitter This is what North Korean TV looked like on the day of the inter-Korean summit. Kim Jong Un and Moon Jae-in met for historic talks on Friday and pledged to denuclearise and strive for peace. But North Korean TV has broadcast everything but footage of the inter-Korean summit. The country doesn’t like broadcasting live events in case something goes wrong. It wants to make sure Kim looks good before airing anything. Friday’s inter-Korean summit is being broadcast live everywhere around the world – except North Korea. TV channels including the BBC, CNN, South Korea’s Seoul Broadcasting System, China’s state-run CCTV News, and Japan’s NHK, all showed images of Kim Jong Un and Moon Jae-in meeting. Following their historic talks, the leaders pledged to pursue signing a peace treaty, and announced their intention to work toward denuclearization. Meanwhile, North Korea’s state-run Korean Central Television showed at 3 p.m. on Friday images of snow-peaked mountains, lakes, and a North Korean flag, and made no mention of the summit in its 5 p.m. news bulletin, BBC Monitoring reported. In fact, North Korean state TV appeared to show everything but the inter-Korean summit. It broadcast on Friday afternoon a film about former leader Kim Jong Il’s life and a bulletin about China-North Korea relations, said NK News, a news site analysing life in North Korea. 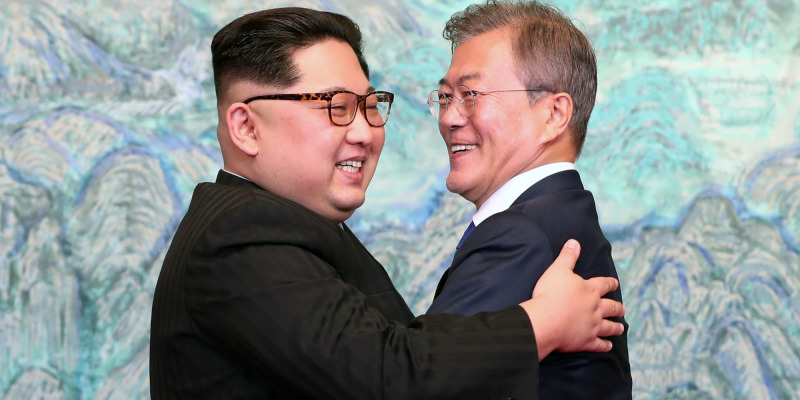 The only summit-related coverage in North Korea were reports from the state-run Korean Central News Agency and Rodung Sinmun newspaper that Kim had left Pyongyang for the Panmunjom truce village for a meeting and dinner with Moon. Despite the gravity of the event, the media blackout is not surprising. North Korea doesn’t like to screen live footage of events that may jeopardise how citizens view the country, experts said. Despite sending athletes, cheerleaders, and senior government officials to the Pyeongchang Winter Olympics earlier this year, the country didn’t screen any of the events live in case something unpredictable happened or its citizens ended up envying life in the South. 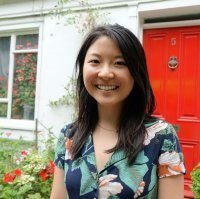 “The lack of broadcast in North Korea is not a surprise – it was the same for the Winter Olympics. “I’m not surprised it’s not been shown live, although it has been announced that it was going to happen. Although Friday’s summit was planned down carefully, Kim veered off-script a few times – including taking Moon’s hand to step on North Korean soil. These spontaneous moments are likely to be closely analysed by US officials, who are preparing an upcoming summit between the North Korean dictator and Donald Trump, who has tended not to follow planned protocol and procedures. Click here for Business Insider’s full coverage of the inter-Korean summit.